THE HARA – OUR SECOND BRAIN? A great artcile by Nev Sagiba. Did you know? 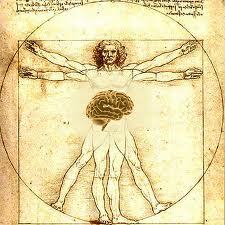 There are almost as many neurons firing in the gut region as the brain? I would venture a guess that they are not there just waiting for the next bus, but serve a vital purpose. Deemed to be “controversial” cutting edge research, also suggests that peptide cocktails formed in the gut region are responsible for moods and contribute to the chemistry involved in effector/receptor functions and immediate physical responses. Really? I thought they were just hanging about ‘cos they had nothing better to do. Controversial? Why? Because they don’t fit in a conceptual box made by some sedentary theorist in a lab coat? Guesswork and rigidly calcified preconceived notions do not win survival situations, contribute to discovery, evolution or achieve any constructive value! Facts do. Predictable strategic flexibility that can be tested and based on observation and experience over aeons may have some merit after all. Combat, as with so-called meditation, indeed all skills, are sciences as much as they are arts. What works, works because it does. Not because of an opinion. After testing and trialing and the R&D of many centuries, certain predispositions emerge as indisputable, despite the theories and ideas of myopic pseudo-intellectuals. Perhaps there is more to HARA than “Oriental superstition” after all. The HARA, a point of reference in the body which can be used as the seat of “mind-flow,” may be more than just an anchor for the mind or a point of focus in the present time moment for engaging in physical activity. Indeed, it does come into play when the physical body is in action mode interacting with the varied aspects of gravity. But it may also contribute to the processes which enable life, mobility, sentience and consciousness as well. The solar plexus region, among other things, also incorporates a rather unique network of nerves including the celiac plexus which is an organised infrastructure of nerve ganglia arranged to function as a centre of influence, energy storage, distribution and activity of bioelectricity as it interacts with biomagnetism through fluids and lymphatics to produce the feeding of signals throughout the body in conjunction with the adrenals, kidneys and other glandular secretions, interactions and mechanisms relevant to instant reactions, survival and life. Natural people are very good at noticing the obvious. I think we call it “insight,” and then we talk a lot, label everything in sight and get lost in a clutter our minds make with often unnecessary and irrelevant complexity, much of it invented by the irrationality of “rationalization,” such as nature does not care about. I too often hear men in ill fitting suits attempt to smother valid debate using inane catch-phrases such as: “complex,” “no evidence” (based on a strictured definition of the word evidence) or “anecdotal” and other gobbledigoop to obfuscate valid discussion and smother research. This egotistical attitude adds nothing of value. In principle, perhaps things are not as complex as some would like to manufacture, or lack the mental capability to grasp. Details and side effects can always be analysed later. And, “no evidence” equals exactly that, nothing to crow about. Nature deals in existing factualities, not ideas. The sun “rises” and “sets” DESPITE OUR OPINIONS. As do all the other processes which hold the universe together. Nature can manage quite well without “experts.” My suggestion is get rid of that tie. It has been proven to restrict blood flow to the brain. Why did ancient oriental warriors and monks (with comfortably loose clothing, good circulation and lucid thinking) choose this region of the body as a centre of mental focus for meditation? I do not think they arbitrarily invented it because they were bored on a Sunday. It would be self evident to make a reasonable assumption that THEY NOTICED SOMETHING OF VALUE. If you’ve been a competitive athlete you will have noticed the pre-event tension, jitters, nerves and so called “adrenal rush” as well as the post-event release, highs etc., all evince a “gut response” and this is no different in public speaking, acting or other required or chosen social tasks which test us and put demands on us, such as exams, etc. not to mention a real assault. We interpret this as “pressure” or “stress” but it is a natural function. Pointedly, all such challenges stimulate this mechanism automatically and involuntarily via the sympathetic nervous system and triggers muscles, glands etc. especially those connecting the cervical, thoracic, lumbar and sacral regions of the spinal chord also including those of the brain, in particular the limbic system and brainstem as it concerns the basic emotions i.e. survival fight/flight etc. In Aikido training, we consciously and positively activate this dynamic in simple ways that not only effect a positive response but also puts you in charge, clearly and perceptively instead of stressed, as you learn to become more calm and centered despite external influences. For example, we free up the breath (most people hold their breath when “under stress”) and sometimes also through the use of imaging we may picture the arms and legs beginning at the hara as we move mind and body united and coordinated in harmonious interrelationship with energetic flows and dynamics. Since mind and body are inseparable in the true sense, such visualisation may help activate the natural, pre-existing processes. Almost immediately a difference is noticed in the way we move and feel. Hara immediately integrates breath and balance at each moment in a functionally integrated way related to survival. The mind, body and emotions function in symphony as on under the direction of the superconscious mind active in accordance to the need of the moment when you need to act spontaneously. This immediacy expresses faster than the thought processes and is usually above and beyond the conceptual, analytical intellect. Therefore, in the midst of action, you do not need to try to consciously catalogue and remember each and every attribute. Rather, as the much criticised by the unqualified; Tohei Sensei coined the phrase…. “KEEP ONE POINT,”… which means to ‘remind’ the one point or hara by momentarily focussing on it, relaxing and getting “connected.” “WEIGHT UNDERSIDE, EXTEND KI…” etc. And then perhaps we better notice other necessary attributes such as zanshin or maai or just staying present with what is, using the mind as a mirror. The rest will follow naturally, timelessly and immediately to your advantage as it instantly computes and causes you to act appropriately for that time and circumstance in accordance to the harmony of the universe, as it is, in that split millisecond. Each centre of function has its respective purposes and functions. The head centre is more suited for calculation, computing, cataloguing and conceptualising and as we have evolved it is rather well developed, albeit not too well balanced through the rigidifying attrition of the school system. Although I hear they are now starting to treat kids as human beings instead of machines. If that’s the case, it is a good thing. About time. The heart centre is, among other things, the balancer between thought and action, the source of harmony and responsibility and that essence which reconciles opposites. For the main part, all our internal centres are beyond our conscious manipulation. Yet by becoming more conscious of them and their function through exercises designed to unfold and awaken our awareness of ourselves, we become more alive, happy, balanced and functionally dynamic. The three main centres always act in synchronicity and concert during each moment of life. Depending on circumstance one will predominate or take the dominant role and the others assist. E.g. Whilst sitting studying, reading etc. the head centre will predominate. Whilst physically active in sport, work, self defence, combat, emergency etc. the hara will predominate especially if skill is required or there is urgency or danger. If we are still here in the next million years, the heart centre on this planet will eventually dominate all our activities but is now prevalent in more humane and compassionate persons yet momentarily comes alive even for wild animals during moments of warmth, intimacy, closeness and sharing with those which are deemed close, such as the pack, herd, tribe or family. Breathing, balance, relaxing and a conscious awareness of HARA are vital. I have a feeling that the “juices” our bodies make, those which naturally make us high, low, happy, sad and all betwixt, which enable consciousness, feeling, action, sleep, thought, instant responses and so much more, are akin to a complex vibratory (Kotadama) mechanism (comprising the Hito Jinja), a veritable receiving and transmitting instrument for the whole universe and the endless dimensions it contains. By discovering yourself and vivifying all your attributes through regular personally motivated discipline, you reclaim yourself. RECLAIMING YOURSELF EMPOWERS YOU and immunises you from external manipulation. On this basis we can all say, “I am the universe!” But more so when we ongoingly and properly care for the awakening of our united body-mind, clarifying and distilling the value of our existence through the misogi and shugyo of regularly training on a Way or Do. In most people, I suspect the second brain is situated a little lower than the hara.